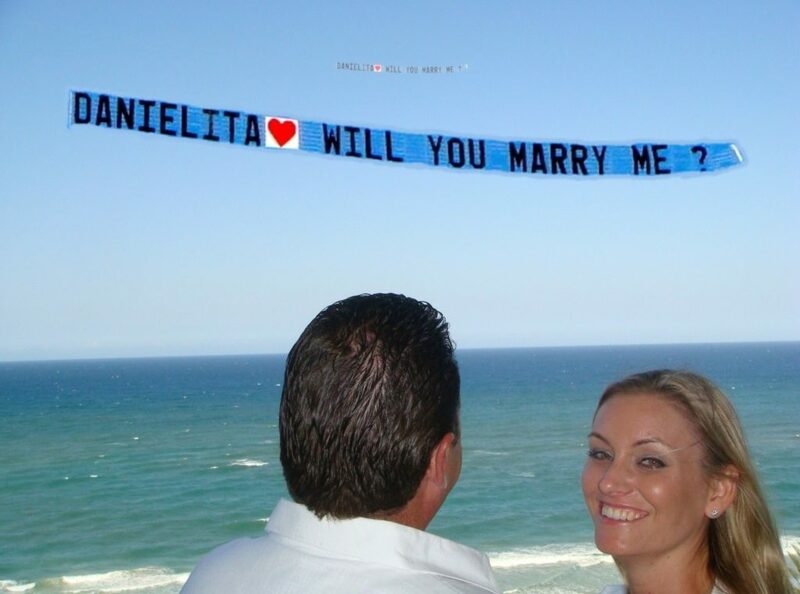 Firstly, to create the most Unique, Memorable, Special and Loving Marriage Proposal Displays possible – your love written across the sky. 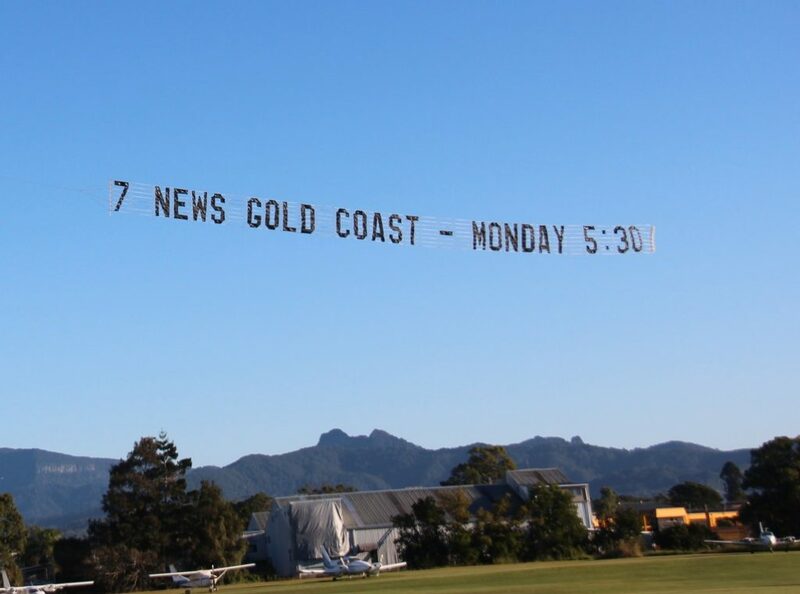 Second, to be the most effective Marketing Media on the Gold Coast and South East Queensland – your message flown past the most engaged audience. 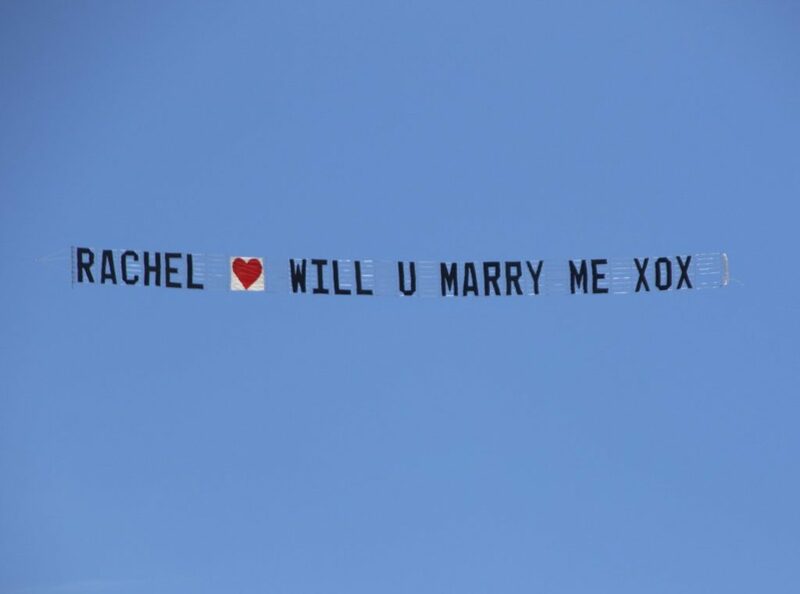 We love creating romantic marriage proposals. During our 35 years experience of creating unique proposals. We have discovered what makes a proposal extra special and what to avoid. Adding our media vehicle to any advertising campaign guarantees an increase in audience. Advertise to the market on holidays directly. SKY-ADS Aerial Advertising has proven to be one of the most effective media at getting people to move. An aerial display can deliver your message in a way that no other can. Happy Birthday, Congratulations, Happy Anniversary are just a few. 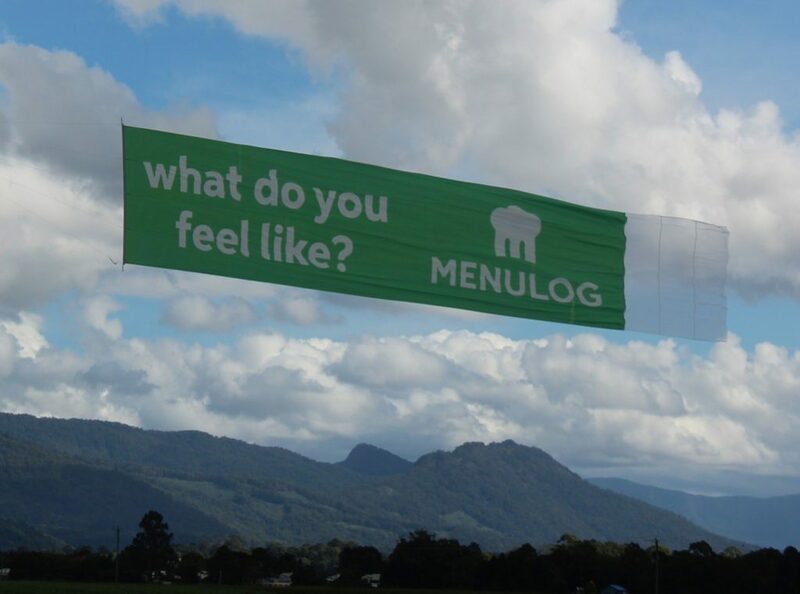 Clubs, Associations and events also use SKY-ADS to promote their events. In fact for any message you can think of. 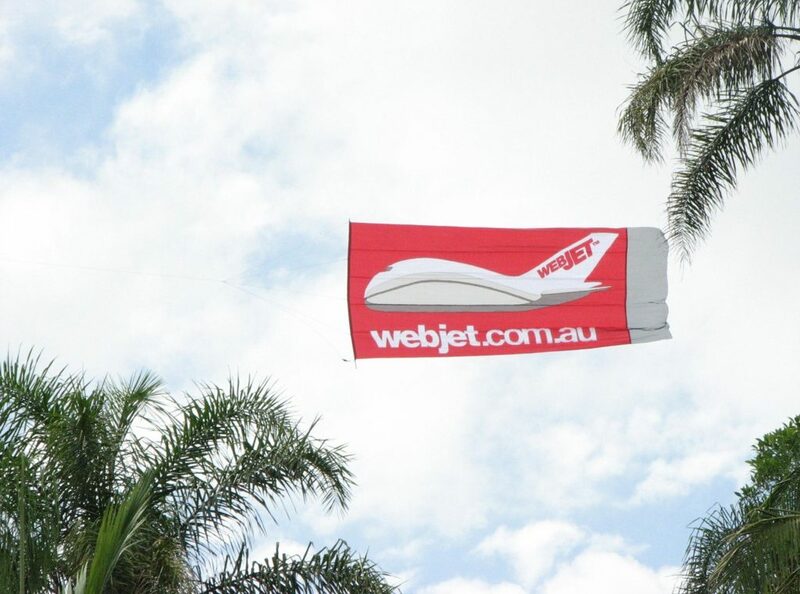 SKY-ADS are Australia’s most experienced sky sign provider. 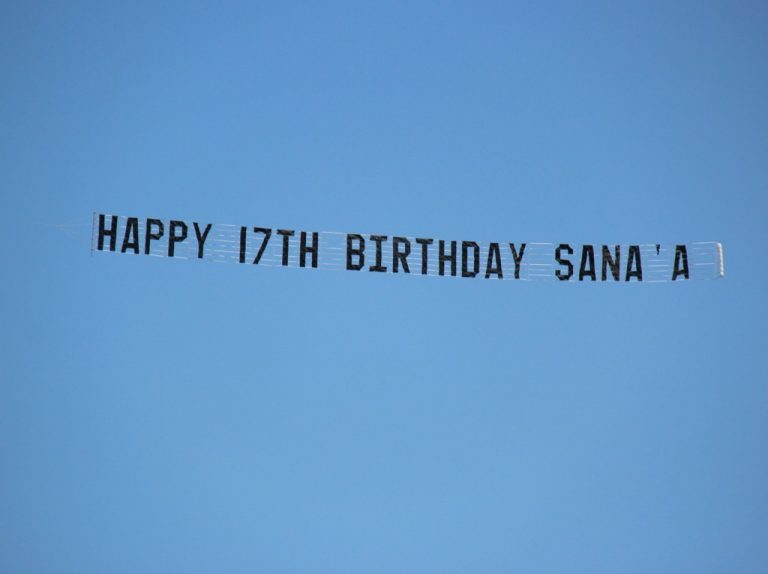 When it comes to writing your message across the sky, experience counts! 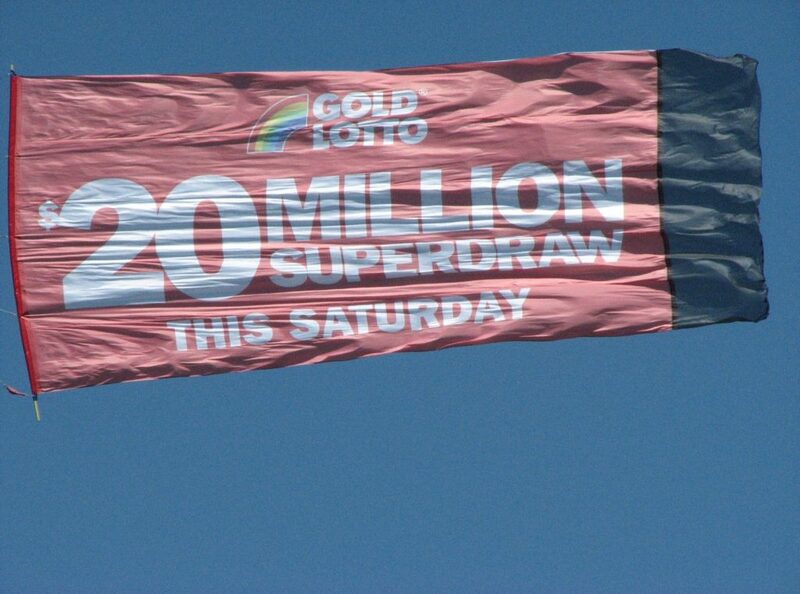 SKY-ADS makes it look easy but there are years of practise and experience behind those memorable aerial displays. Our experience guarantees you the best possible display. 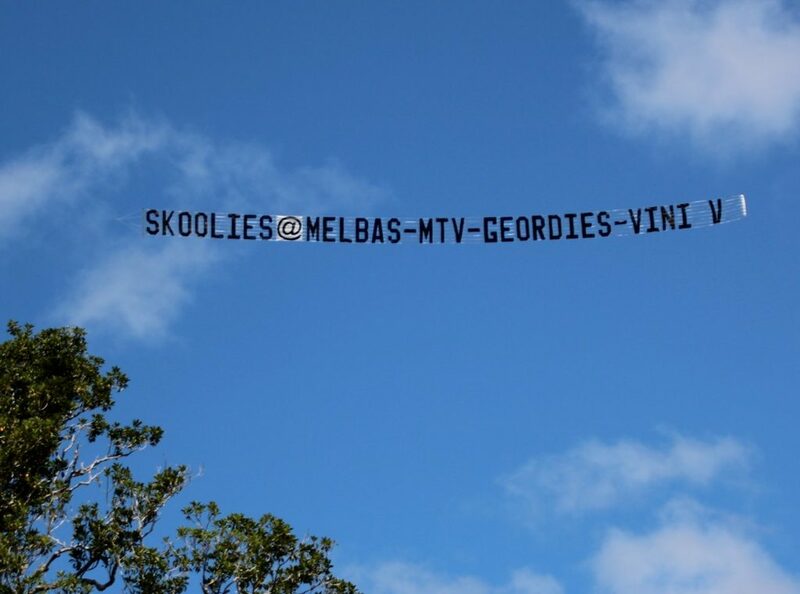 Sky-Ads started in 1982 when two friends became partners by buying their flying instructor’s banner towing business, then called IML Aerial Advertising, a reference to the aircraft’s registration letters VH-IML. 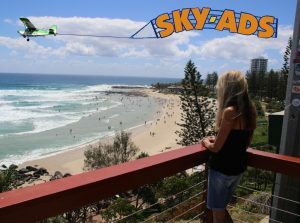 The name was changed to SKY-ADS in 1983 and we have continued since, flying for every theme park and most of the major events on the Gold Coast and in Brisbane. 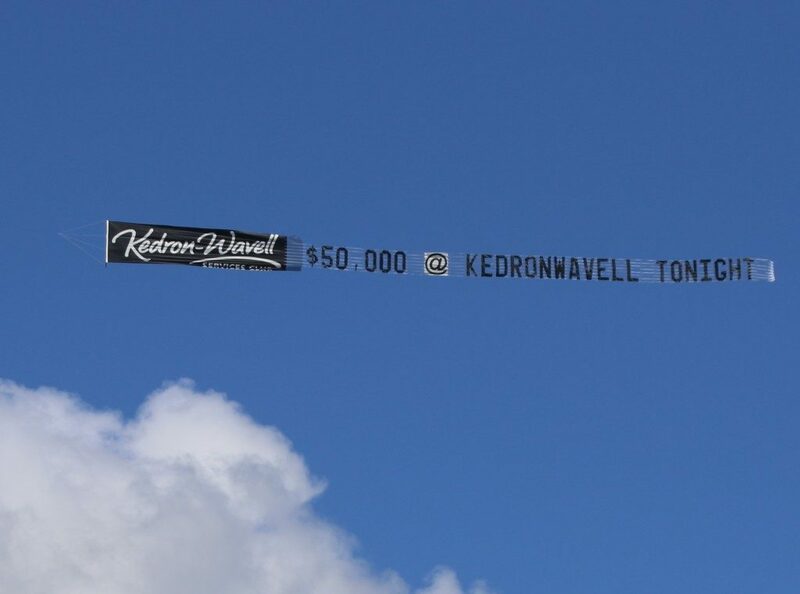 Our Aircraft has evolved over the years to become perfectly suited to its specialist task of Banner and Billboard towing. 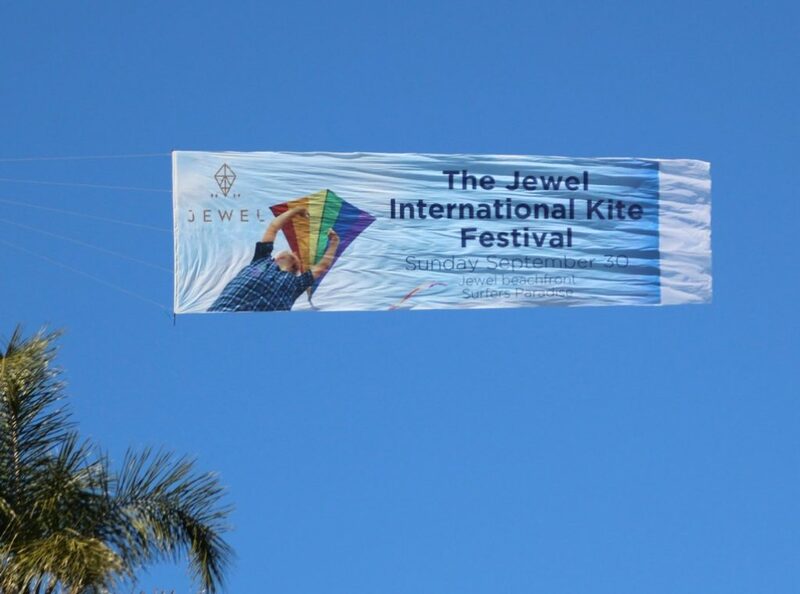 It provides the ideal balance between length of banner towed and distance travelled. And also between size of display and economy. Increase your marketing reach by Adding our unique media vehicle to your marketing campaign. We provide access to an audience that other media cannot. In fact the most important audience on the Gold Coast. But that is not our only market. 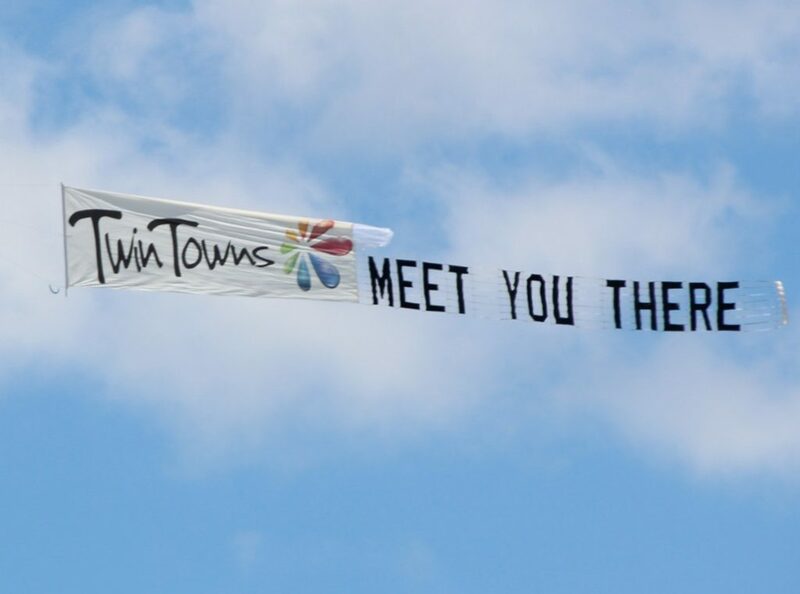 Our 1 mile a minute tow speed is perfect; giving the coverage area you want with plenty of time for your message to be studied by your customers on the ground as your banner sails slowly past. 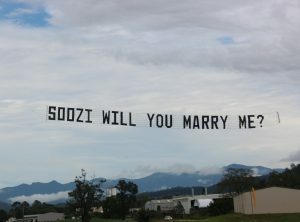 Our years of delivering stunning Marriage Proposals makes SKY-ADS the only ones in Australia you can trust to deliver your memorable Marriage Proposal! If you are unsure about how to go about proposing to the love of your life. Certitantly SKY-ADS can do all the hard work for you. To that end we have prepared the most compressive Marriage Proposal Guide. In three steps we will show you how to write your message of love across the sky. 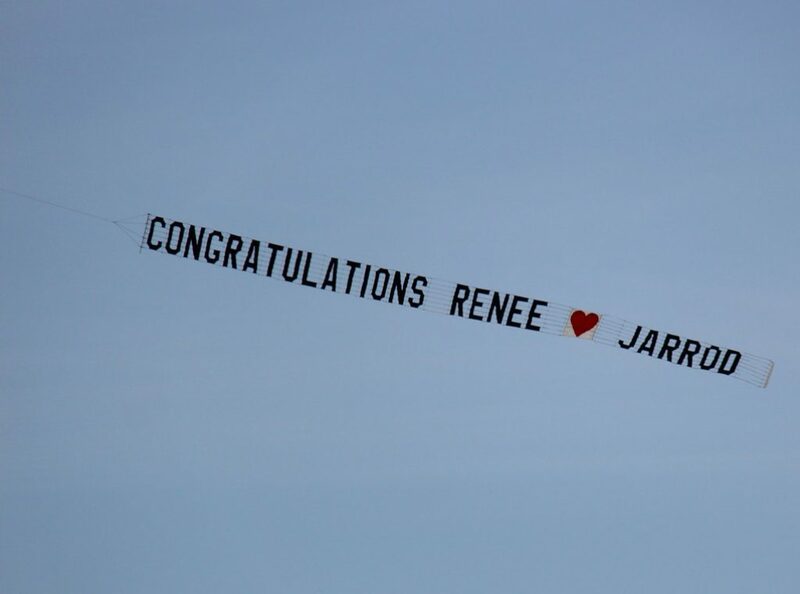 Imagine the look on your lovers face when the ultimate Marriage Proposal is written across the sky. What could be more romantic? 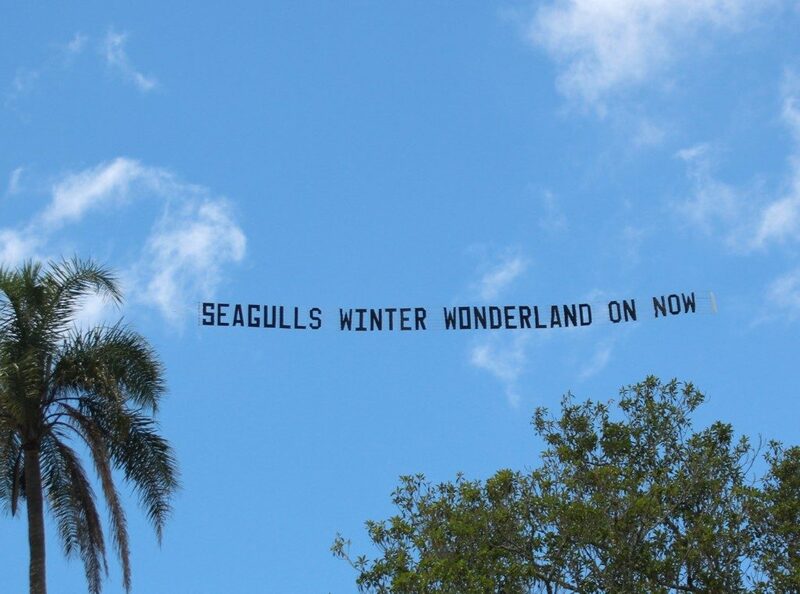 Over the years many Flying Schools or Joy Flight companies have “had a go” at skywriting. 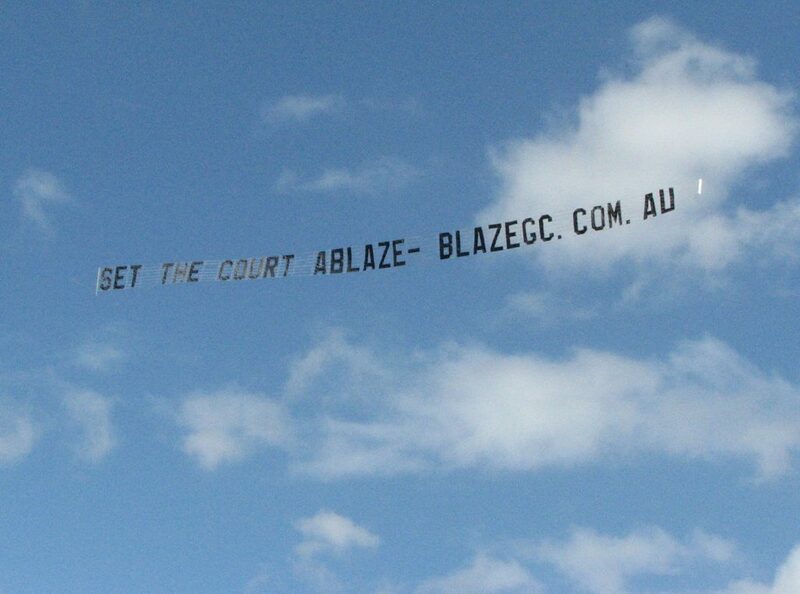 SKY-ADS has witnessed many really badly displayed sky signs. Signs Too Close or Too Far away. Sky-Signs twisted or flying sideways. If you don’t know what you’re doing there are many way to mess up a sky display. Therefore always avoid skywriters who’s motivation is to give a rookie pilot some hours. Or to make a quick buck between joy flights. SKY-ADS are specialists. 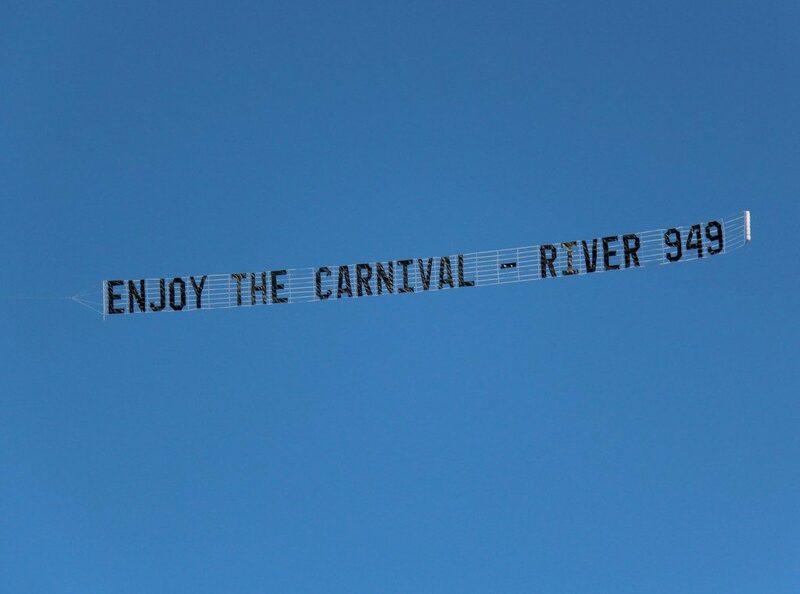 Our mission is to provide you with the best aerial display possible. 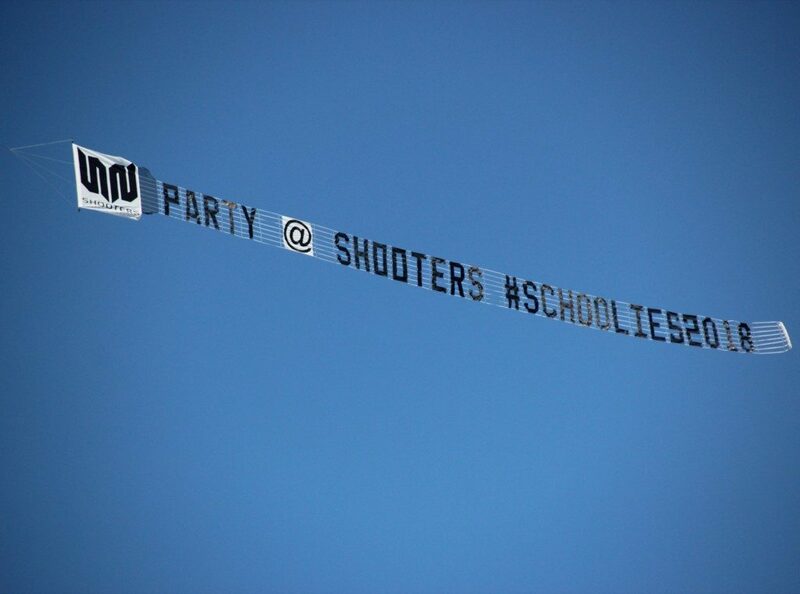 We make writing your message across the sky look easy. But don’t be fooled by fly by nighters always go with experience you can trust. You can find many interesting articles on our Blog – click here. SKY-ADS years of experience ensure that your message is always displayed in the optimal position for maximum readability and impact. Always in the right place at the right time.